To celebrate the DVD release of Carol Morley's haunting docu-drama Dreams of a Life, the good folk at Dogwoof have provided me with a copy for one lucky person to win. All you have to do is email me the answer to the question below by Friday the 23rd March and I'll draw the winner at random from the entrants. 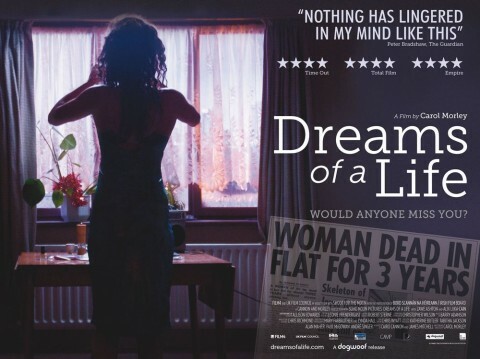 Question: Dreams of a Life features a central performance by rising British star Zawe Ashton. In which Channel 4 comedy series did she recently appear as one member of a group of house-sharing University students? A favourite film requires a few special ingredients. If you're going to return to a film time and again, and watch it when you're in need of solace or a smile, then it must be beautiful, it must have humour and for me, it must have a happy ending, or something close to one. But there also has to be a spike of danger, and the chance that the precious happy ending might slip away. Adrenaline provides a thrill, and tears can offer as much comfort as giggles. 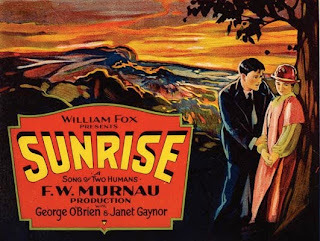 FW Murnau's Sunrise: A Song of Two Humans has it all. It's a monochrome fairytale, with a seductive villainess and two heroes: the Man and his Wife who come to the brink of a crisis and escape, back into each other's arms. Murnau's unchained camera snakes across sumptuous, pictorial scenes: a village, a lake, a glittering city. We're following winsome Janet Gaynor and downcast George O'Brien as they learn to love each other again, to laugh and to be themselves. The beauty of the film (that expressionist lighting, the extravagant sets) carries the audience away with the couple's passions: we share their despair and their delight. Sunrise does all this in order to celebrate the most precious kind of love, that which is lost and found. And that's why I find myself returning to this exquisite film on wet Sunday afternoons, and being swept away by its sheer romance. 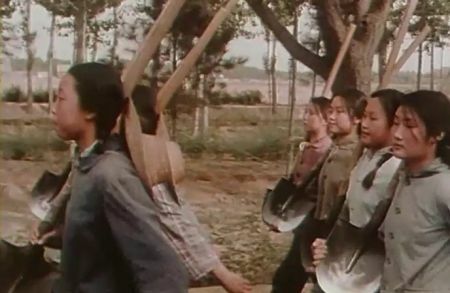 My first review for the great Eye For Film website is on Michelangelo Antonioni's extraordinary documentary on Communist China in the 70s, Chung Kuo China. Click on the link, have a read and then track down a copy of the film. With the release of Martin Scorsese's lavish 3D spectacle, Hugo, mainstream cinema audiences, and a new generation of younger film fans, were either reminded of or introduced to the world of silent film director George Méliès. Along with fellow French film-makers the Lumière Brothers, Méliès was a vital figure in the continuing evolution of the then fledgling artform. Méliès' pioneering use of animation and special effects is wonderfully showcased in what is probably his best known film, Le Voyage dans la Lune (A Trip to the Moon). 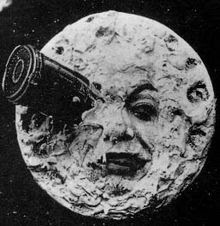 Credited as being the first science fiction film, Le Voyage dans la Lune, co-written, produced and directed by Méliès, was released, as were many of his other films, in both black and white and colour versions. A shot depicting a spaceship landing in the moon's eye has subsequently become one of the most iconic images in cinema history, and the film itself has been referenced by the likes of Queen, Air, The Smashing Pumpkins and Futurama. There are hundreds of films that could have represented France in this series but Méliès enchanting, enduring Le Voyage dans la Lune deserves its place for both kick-starting a cinematic genre and for pushing the boundaries of the medium into what were then uncharted waters.